I get sick of winter pretty much the day after Christmas... However I can't do too much complaining as our weather has been pretty darn pleasant. I welcomed the warm record-breaking temperatures this week with open arms! These pretty mosaics inspired me to create a new banner for Spring... even though it's clearly still winter. Were you wondering what was going on? Probably not... but you'll get the full explanation tomorrow anyway! Those colors are so pretty, just did my daughters room in a very similiar color scheme and its like walking into a ray of sunshine everytime I go to her room. Great mix and the colors make me think of spring. I love your mosaics! 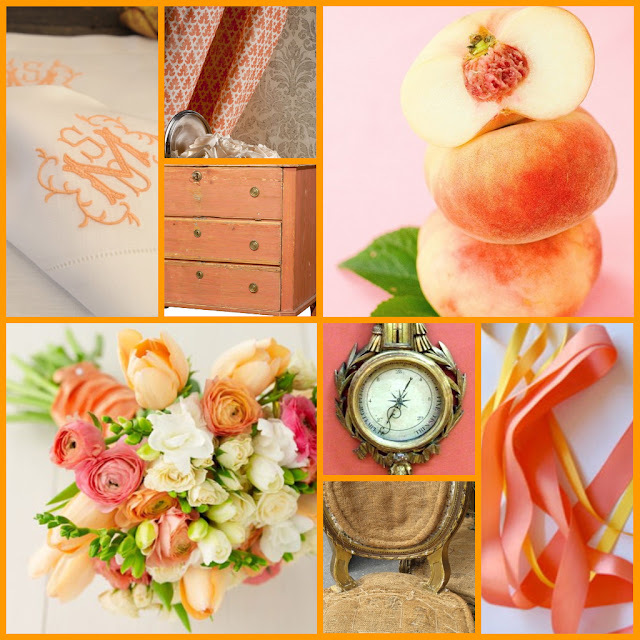 Peach and Coral are colors that I am drawn to, gives me comfort and is soothing. 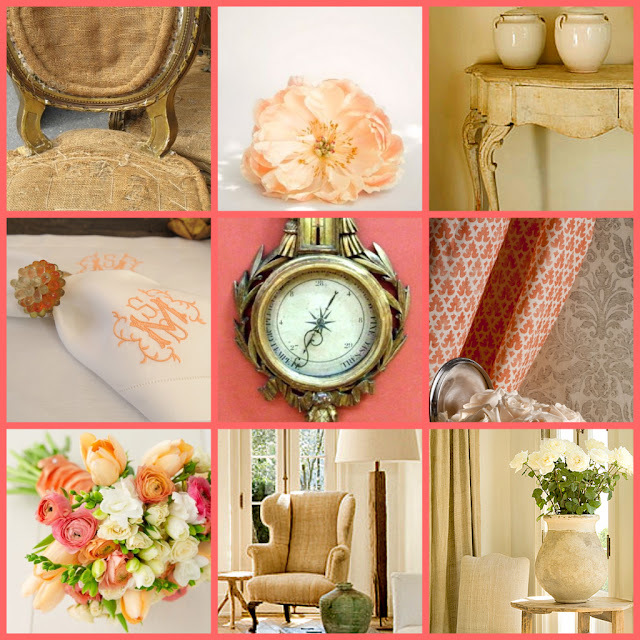 In fact these are the colors in my home office! Thanks for these beautiful images. You've added some intrigue and I'll look forward to your post tomorrow. Hope you are well! Yum! I am in love with the colors. Ahhhh, just beautiful! Makes me crave spring, where I can throw open the windows and skip through the tulips and belt out a tune from the sound of music (OK scratch the last thing) but it gets me happy just thinking about beautiful warm weather, heart meltingly beautiful colors! Love the mix of these colors.They are beautiful! I'm definitely drawn to those colors, they are warm and make me wish for warmer days ahead! Beautiful post! These colors are so refreshing after all the heaviness of fall and holiday. I'm with you....love this breath of fresh air and I'm counting the days until Winter moves on and we welcome Spring!!! ps: Love the newest banner!